The key to winning any Uno game is strategy and using the right combination of cards. The strategies listed here may not help you to win every time because luck plays a big role as well, but it should help you improve your win rates significantly. Other key elements to winning a game depends on how many opponents you have, the colors in your hand, the Action cards you have, and how many Action cards have been used on/against you. Keeping track of what cards have been played will require you to pay attention to what is going on around you. If a player has put down quite a few cards of the same color then you need to change the color being played as soon as you can. You don’t want them to be able to get rid of their cards so quickly. If a player has to keep drawing cards on the same color each turn, then do your best not to have the color changed. This will keep that player continually drawing cards until they draw one that can be played but also gives them an additional amount of cards in their hand. You can also try to control the color in play. The best way to change the color you want is with Wild cards (Wild Draw 4 and Wild). You can also change the color by laying down the same number of the card played but with a different color. For example, if there is a green 2, you can play a red 2 to have the color changed. Using your Skip and Reverse cards strategically will aid you in the one calling Uno instead of another player. You also have to pay attention to the number of cards each player has left in their hand. If you’re playing a game with just one other opponent and they are getting low on cards, hit them with any Skips and Reverses you have to lower your card count. This also works if a player next to you is getting low on cards. Let’s say the player two down from you is on their last card and you have a Skip and a Reverse card. It would be better to play the Reverse card. If you play the Skip card, then the person next to you will be skipped over allowing the second person to win if they are able to lay their last card down. As with the Skip and Reverse card, the Draw-Two card also has to be played strategically. They are a perfect way to keep a player low on cards from winning that round. If the player that has just gone before you is left with only a few cards, play a reverse followed by a Draw Two card on your next turn. They may be able to play another card from the Reverse but the Draw Two will give them an extra card. If the player who goes after you has one card left, play a Draw Two card to keep them from saying Uno. If 4 or more players are playing, you will find that oftentimes, you can “team up” with the player opposite of you (in the circle of players) in hitting the players to your left or right with either a couple of Draw Two cards, or Skip cards. When a Draw Two is played on someone, they also need to skip their turn. So in this way, you can “cooperate” with the player opposite of you, albeit temporarily. Wild and Draw-Four Wild cards can make or break a winning round. Both cards will cost 50 points each if you still hold them in your hand at the end of the round so it is best to know when to hold onto them and when to get rid of them. Try to hold onto the Wild card as long as you are able and not use it so soon for it may be wasted. Wild cards can be used at any point in the game no matter what has been played. A Wild Draw Four card will benefit you if you are able to play it when you are down to a few cards in your hand and are still able to say Uno. The cards the other players have to draw will count towards the points you get. If another player is low on cards and it seems they will definitely be the one saying Uno, get rid of your Wild or Draw Four Wild cards as soon as possible. You want to give them as little points as you can. The higher the points in your hand, the more points the winner gets from you. Keep in mind that when you are discarding your number cards, (as a rule of thumb) play the highest number card you can each turn. This is unless you have a large amount of cards that match the color in play. It is also important to try to discard your 20 point cards. This also comes into play with what strategy you use to best discard them. Players new to Uno normally concentrate on playing their cards according to color. Sometimes it is the best idea to play a card based on its number instead. At the beginning of the round, you may want to switch up the colors around if you have a choice to play two or more colors of the same number, in order to “test” your opponents and get an idea of what they have or don’t have. Make sure Uno is called by those other players who are left with one card. 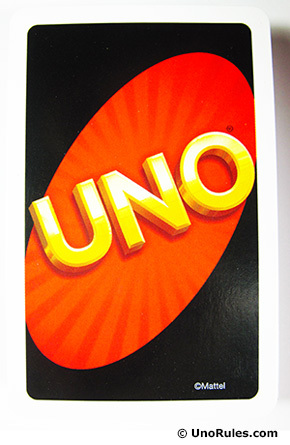 If a player does not say Uno when they have one last card, you can challenge them and they will have to draw two more cards. You need to be quick; because you can only issue a challenge before the next player’s turn comes and he/she draws or puts down a card. This new mobile app by Mattel163 mainly has a four player mode, and what is nice about it are the doubles matches called 2v2, where you partner with a friend or random person to beat another pair. In these doubles matches, you and your partner can view each other’s cards and therefore the strategies are a little different. Below are some additional tips pertaining to the Classic Uno mode. Always aim or look for situations where you can play a Skip or Draw Two in tandem with your partner, assuming your partner also has some Skips or Draw Twos on hand. By so doing, you can BOTH get rid of your cards faster while your opponents will have to skip their turns due to being subject to those Skips and Draw Twos. It is vital to keep track of the cards the opposing pair are playing, and mentally take note of any cards they do not have. By playing a color they do not have, you can force them to draw new cards and buy time for yourself and your partner while slowing them down. Recognize when to use your Wild cards or Wild Draw Four cards and do not hold them for too long. Many make the mistake of holding onto their Wild cards for too long, and then in the end they never get the chance to use it because they got Skipped or were thrown a Draw Two or Wild Draw Four by the opposing pair, who then goes on to win. If your partner has played a Wild Draw Four or a Skip/Draw Two and is left with a single numbered or colored Action card, and it’s your turn and you have number cards of the same color, it is often best NOT to play those number cards on your turn (although you could). Instead, draw a new card. This is because, if the next player after you has another similar number card but with a different color, he/she could then change the color and your partner will not be able to win. Basically, this tactic is to limit the opponent’s options, and either force them to play the same color (your partner will then win), or force them to waste any Wild/Action cards they possess as a last ditch attempt to change the color or to thwart your partner. Of course, if you have a Skip or Draw Two of the same color, by all means use it to “skip” the next player and enable your partner to win straight away. If you have a Wild Draw Four card and your partner is about to win with one card left, you can help your partner by sacrificing yourself on your turn. You can simply play your Wild Draw Four to change to the color your partner needs, regardless if you have cards with the same color. The next player may challenge you and win (they often will as there is no better option), forcing you to draw four new cards. Take note, that this only works if the next player does not have a Wild card to change the color, or any other suitable Action card to prevent your partner from winning, because if they challenge you and win – their turn is not skipped and they can certainly use it. Uno is a fun game that can be played for hours of enjoyment. But if you have your heart set on winning, try out a few well-played strategies in your next game. I think you will be pleased with your results.